25 years preventive monitoring of places of detention – has the CPT achieved its goal in Europe? In 1989 the European Convention for the Prevention of Torture and Inhuman or Degrading Treatment or Punishment came into force, establishing the European Committee for the Prevention of Torture and Inhuman or Degrading Treatment or Punishment (CPT). The CPT was the first system with a mandate to conduct visits to places of detention on a regular basis. That is to all places where people are deprived of their liberty in all member states of the Council of Europe. It inspired other mechanisms, including the Optional Protocol to the UN Convention Against Torture at the international level. On the occasion of the 25th Anniversary of the CPT, we have asked Julia Kozma, elected member of the CPT for Austria, to take stock of the approach of preventive monitoring through unannounced visits. In November 1989 the European Committee for the Prevention of Torture and Inhuman or Degrading Treatment or Punishment (CPT), a body established within the organisational framework of the Council of Europe, held its first meeting in Strasbourg. In May 1990 it carried out its first visit to one of the initially 15 countries to have ratified the European Convention for the Prevention of Torture (ECPT). New States joining the Council of Europe had to sign up to the ECPT and today membership encompasses 47 countries, stretching from Reykjavik in Iceland to Vladivostok in Russia. CPT delegations have meanwhile conducted 366 visits over the past 25 years to these countries, where they monitor the treatment of persons deprived of their liberty and the conditions of detention in such diverse places as police stations, facilities for immigration detention, prisons for pre-trial and convicted prisoners, social care homes, psychiatric hospitals and military detention facilities. Their main task is to speak to the persons concerned, namely detainees and involuntary patients and inmates, but also to prison guards and other law enforcement officials; to verify detention registers and documentation; and to observe with their own eyes the conditions under which detained persons have to live. Based on these objective findings, as well as on an analysis of domestic laws, the CPT strives to provide State authorities with expert recommendations. The State authorities, in turn, are obliged under the principle of cooperation to improve the situation in the light of the CPT’s recommendations – so far the theory. Like PRI, the CPT celebrates its 25th anniversary this year. But does this accomplishment give rise to congratulations and jubilations? In a quarter of a century, has the CPT achieved – or at least got closer to – its goal of preventing torture and ill-treatment in Europe? The truth is that it is still very much a work in progress; and often it seems that while one step is taken forward new challenges arise in another area or, worse, steps are deliberately set that lead to a deterioration of the situation of detainees. On the one hand, the CPT has without a doubt been instrumental in many positive reforms relating to police work, imprisonment or psychiatric care; it has contributed to a strengthening of legal safeguards for persons in police custody, which in turn led to a clear reduction of torture; and it has established detailed standards on conditions of detention in prisons and other facilities. It is equally clear, though, that many of these achievements were not reached solely through the CPT’s work. Other actors with a similar aim as the CPT’s, such as the European Court of Human Rights, civil society organisations, domestic courts or parliaments, had to join in to make change happen. Most important, however, is the role of progressive, human rights minded State authorities, who have understood that denying persons their rights and simply locking them away will eventually have a harmful effect on their entire society. Indeed, the CPT has been most successful in those States where the authorities see it as a multi-disciplinary expert group providing them with valuable advice rather than a nagging critical voice that needs to be antagonised. On the other hand, the time to really celebrate has yet to come. In a number of countries within the Council of Europe area suspects still encounter a considerable risk of becoming victims of torture or inhuman treatment at the hands of the police; or, at least, of facing excessive use of force upon arrest by untrained and overreacting police officers. 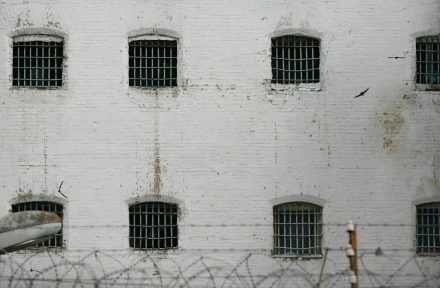 In the prison sector of some countries the number of inmates is exploding; the resulting overcrowding carries with it a multitude of negative effects: prison staff can no longer guarantee the security of prisoners, meaningful activities are reduced to a minimum, and material conditions deteriorate rapidly, to name but a few. Detention of irregular immigrants, in particular in the South of Europe, has been in a crisis for years, leaving thousands of detainees to languish in unspeakable conditions. The success stories of the CPT – such as the considerable reduction of police torture in Turkey – are too often counterbalanced by setbacks in another area – such as the ever rising prisoner numbers and severe overcrowding in Turkey’s prisons. And similar examples can be found for almost every other of the 47 Member States. It remains difficult to measure the CPT’s accomplishments in preventing ill-treatment in Europe in the past, due to the many outside factors that contributed to changes in domestic practices, laws and policies. Maybe by trying to imagine where each of the 47 countries would stand today without the CPT’s often repeated recommendations and standards we could come to realise that the situation of detainees has generally seen an improvement and that torture and ill-treatment were significantly reduced. It might therefore be a time to celebrate after all; and to carry on with the good work. Julia Kozma has been a member of the CPT since 2009, elected in respect of Austria; she has recently been unanimously re-elected for a second term by the Committee of Ministers of the Council of Europe. She holds a PhD in International Criminal Law and a Master’s Degree in Human Rights and Peace Support Operations. From 2005 to 2010 she worked for the mandate of the United Nations Special Rapporteur on Torture, and participated in various fact-finding missions. Currently, she is senior legal researcher at the University of Vienna, Austria. She has broad teaching experiences and has written diverse publications on human rights and torture related issues. To mark our 25th Anniversary and prepare for the Crime Congress in Qatar in April 2015, PRI is running a series of monthly expert guest blogs, addressing interesting current trends and pressing criminal justice challenges in criminal justice and penal reform. Blogs will be available here on our website and as podcasts on the 25th of each month from May 2014 to April 2015. All blogs in the series so far can be found here. Podcast: 25 years preventive monitoring of places of detention – has the CPT achieved its goal in Europe?